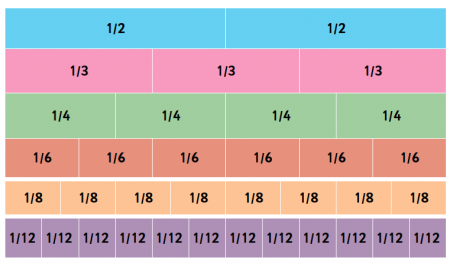 We explain what the numerator of a fraction is and give examples of how the concept might be taught in Key Stage 2, as well as explaining fractions equivalence and the relationship between the numerator and denominator. So in the fraction 3/8 the numerator is 3. In the fraction 1/9 the numerator is 1. If a fraction has 1 as its numerator, it is called a unit fraction. 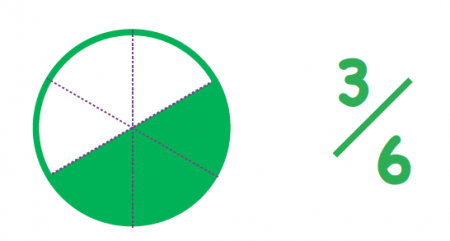 Children need to find one half, one quarter and three quarters of shapes in Year 2. It is not until Year 3 that they start actually having to use fraction notation (that is, looking at the diagram below and writing '3/6' to express what they are seeing). At this point they will be introduced to the fact that the top number is the numerator and the bottom number is the denominator. It is helpful for them to see diagrams so that they are aware that the numerator is the number of parts shaded (for example, in the fraction above, 3 parts out of 6). 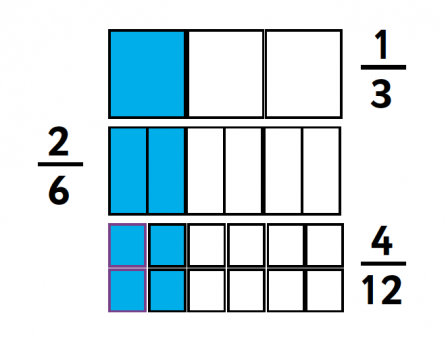 and start to understand how fractions can be the same, even if they are split up into different numbers of parts, which give them different denominators. They also need to look at the relationship between the numerator and denominator in equivalent fractions; for example, in the diagram below, they may notice that 2 is a third of 6 and 4 is a third of 12. In Years 4, 5 and 6 children need to relate fractions to their decimal equivalents. To understand this, it is helpful for them to understand that decimals deal with whole numbers being split into one hundred equal parts, so a decimal number can be compared to a fraction with 100 as the denominator. 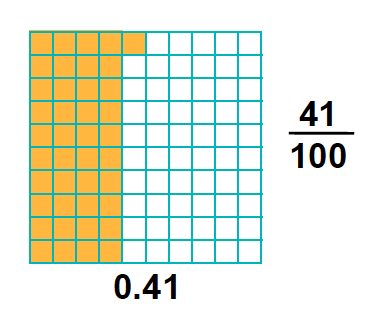 The number that occurs after the decimal point in a decimal number then forms the numerator of an equivalent fraction, for example: 0.41 is 41/100. Children then need to be able to simplify fractions by dividing the numerator and denominator by the same number. They may also be given a list of fractions with different denominators and asked to convert them so that they all have the same denominator. This involves either multiplying or dividing both the numerator and denominator by the same number.